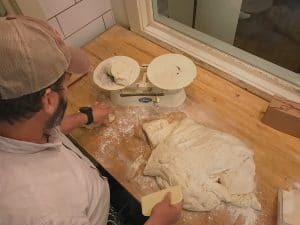 Finding Perfect Pairings for Artisan Bread | Village Baking Co.
We love bread for so many reasons: Its taste, nourishing qualities, and what it stands for as a symbol. Bread is one of the most ancient prepared foods. It’s a simple meal on its own. You share bread with others as a sign of trust, fraternity, and acceptance. 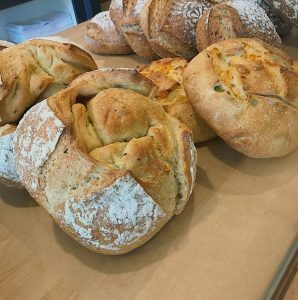 Over the years, we’ve taken great care to develop bread recipes with robust flavor and hearty texture, and we’ve gone to great lengths to share it with the rest of the DFW! 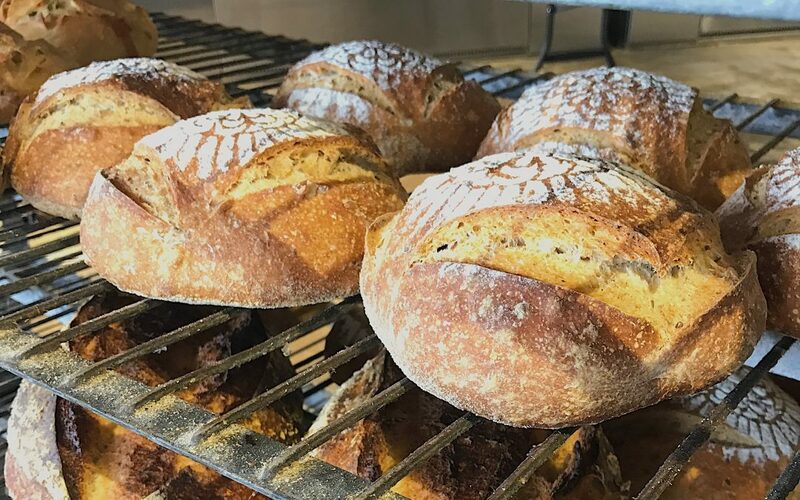 We thought it would be fun to create a list of pairings, a guide if you will, as to how best enjoy the artisan loaves and boules that we make. Here’s your definitive VBC artisan bread pairing guide. Who doesn’t love a good soft cheese? A Port Salut or triple cream brie have creamy, melt-in-your-mouth textures that are just dying for the right partner. Pain au levain is the perfect copilot for these dairy delicacies. 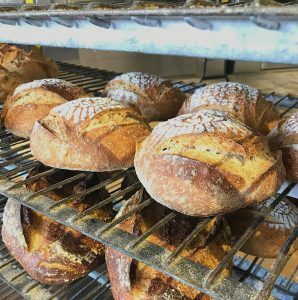 Our pain au levain is a classic, rustic bread. The texture is hearty, and the crust crunchy. The sour tang from our 14-year-old starter feels right at home alongside a smooth cheese. Our jalapeño cheddar bread is savory and spicy, and it makes the perfect platform for any sandwich — especially a grilled cheese (because more cheese is always more better). We’re doing a version with Hatch instead of jalapeño for the next month or so; it’s a must try. The multigrain boule brings plenty of texture to the table, but it’s also got a slightly sweet, nutty flavor that makes it a flexible bread. You can lean into the sweetness and pair it with a jam of your choice (we like making our own), or you can aim for contrast by choosing a sharp cheddar cheese. Of course we could just recommend pastrami and rye and be done with it, but you’re already familiar with that classic combination. Instead, we want to highlight our country rye as a breakfast bread. Try making toast with fig jam, or using a slice to sop up come runny egg yolks as part of a hearty, ready-for-the-rest-of-the-day breakfast. This is one of our most unique breads. The meyer-lemon-infused olive oil that we use in this sourdough base is tangy and potent. The rosemary adds an herbaceous layer that cuts some of the acidity. You can pair this bread with a goat cheese, perhaps with poached egg as part of a breakfast crostini? With such a powerful flavor though, the meyer lemon rosemary boule can definitely stand on its own as well. With cranberries, raisins, and walnuts in the mix, this bread is primed to serve as the base for a sweet treat. Almond butter and honey atop a toasted slice of cranberry raisin walnut is almost enough to make one weep tears of joy before commuting to work. Of course, since it shares a base with pain au levain, this bread also plays nicely with soft cheeses. Do you have a go-to pairing for artisan loaves? Tell us about it in the comments or on Instagram and Facebook. We’re always open to trying something new! 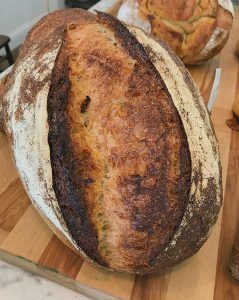 If you want to inquire about the availability of Village Baking Company artisan breads at either of our Dallas, TX bakeries, call 214-951-9077 (Woodall) or 214-821-3477 (Greenville).